Pastor Christian Newsome and his wife, Danielle, have been married since 1999, and have two children: Christian and Kasey. After growing up in small town in southern Ohio, Christian received a scholarship to play football at Liberty University in Lynchburg, Virginia. It was there that he met Danielle. They were engaged after 4 months of dating and married 6 months later on July 10, 1999. After a decade in ministry serving as a Youth Pastor, a Family Pastor, and a Teaching Pastor, Christian felt a distinct call to start a new church that would minister to young families, young singles, and those who are young at heart with a dynamic church that had a simple process for spiritual impact and a simple schedule for busy people who desire to have a real connection to a church family. 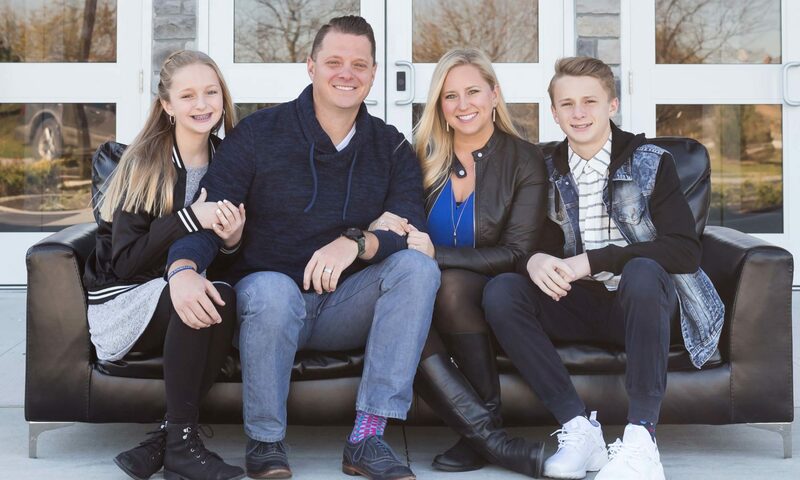 After 2 years of study, mentorship, and training with some of the greatest churches in America, Christian moved to Lee’s Summit, Missouri in December 2010 and began meeting with 5 families that would launch Journey Church International on September 18, 2011. Each Sunday Pastor Christian teaches through a portion of scripture in a manner that will teach you something from the Bible while showing you how it relates to your life in an applicable way. Pastor Christian has shared the story of Journey Church International across the country at Church-Planting Conferences in partnership with The Launch Group and the Liberty Church-Planting Network. From helping future church-planters recognize the call to start a new church, to coaching church-planters in their first few years on the aspects of executing their vision well, Pastor Christian works to help church-planters around the country duplicate the success of ministry that we have seen at Journey Church International. Pastor Christian also works with the Go Tell Camp Ministry to preach to thousands of students across the country each Summer at Summer Youth Camps.